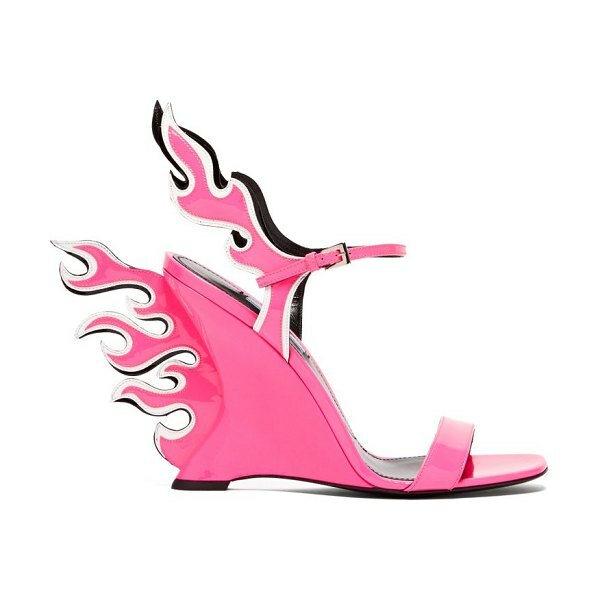 Prada - Prada revived renowned archive styles for its AW18 runway show, such as these iconic hot-pink leather Flame sandals which were first unveiled in the SS12 collection. 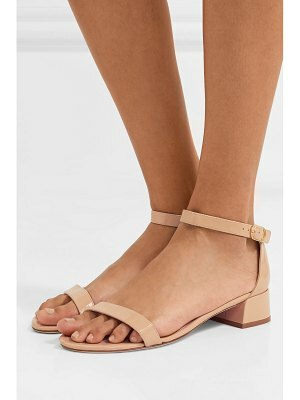 They're crafted in Italy to a sleek silhouette set on a curved wedge heel with blazing trims, and have a glossy patent shine. Let them stand out against white neon-tinged separates for futuristic runway-inspired appeal.